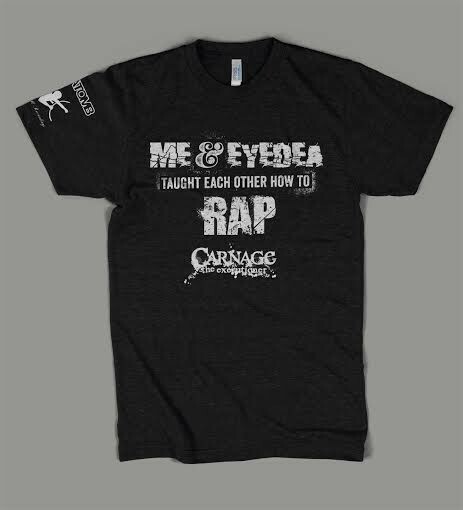 Carnage: Me And Eyedea Taught Eachother How To Rap Shirt, 2015 Mc. 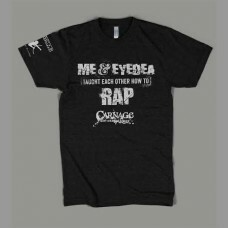 Home » Shirts & Merch » Carnage: Me And Eyedea Taught Eachother How To Rap Shirt, 2015 Mc. *Please visit Carnage on Facebook for shirt details!